As an end of year gift to you the C64 owner and musical listener, Booze Design has released one of the nicest collection of SIDS we've heard for some time. Composed, coded, and graphics done by Dane, with loader by HCL and Help by ruk; ' Northern Star ' features 12 incredible musical tunes with one such user commenting " Dane, you are one of the best composers ever "! 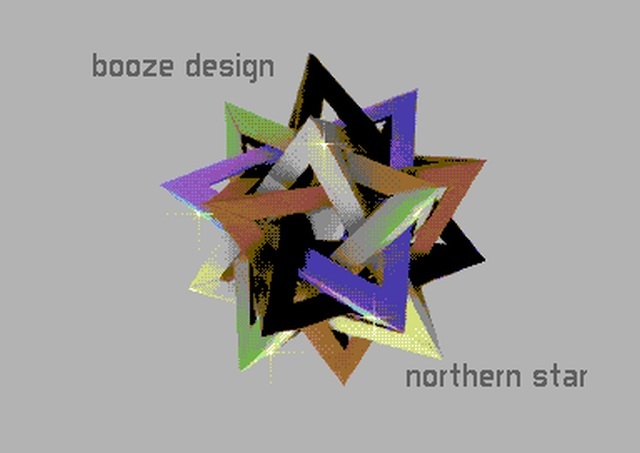 As a taster to the collection, provided above is the demoscene release of NorthernStar which was made available this year. As for the rest of the SIDS they can be downloaded from the source site below!